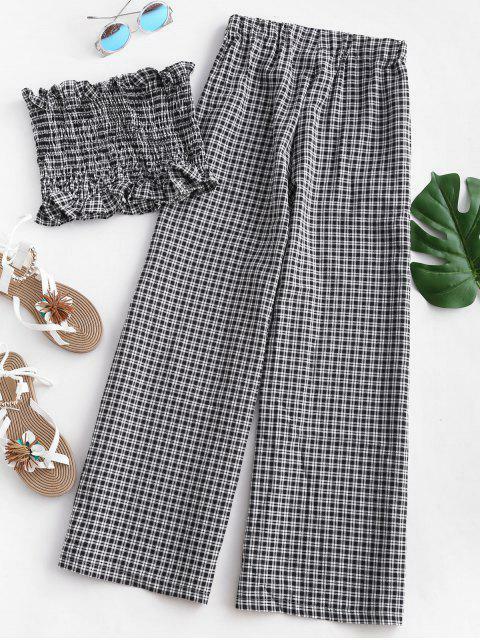 [32% OFF] 2019 Plaid Smocked Button Up Bandeau Top Set In BLACK | ZAFUL ..
Super cute Fits well Love it True to size Comfortable and of fantastic material This product had a nice fit and l love that the pants had a good length. 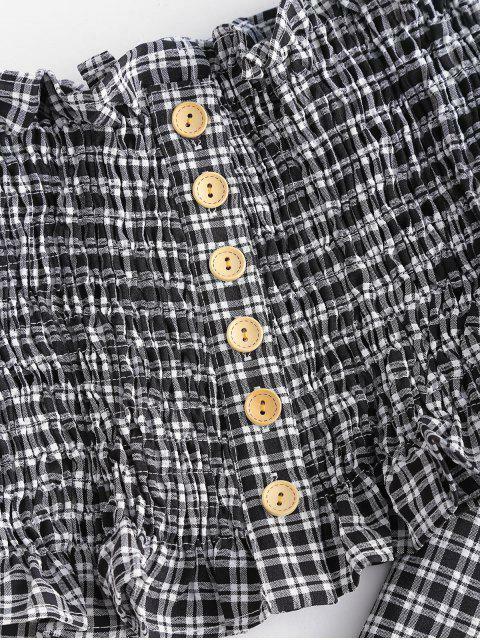 It was made with good material and the outfits is cute and comfortable. This outfit works for girls with different body types! 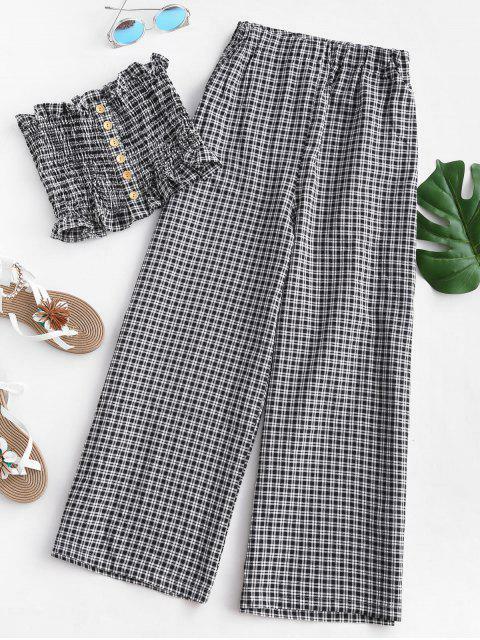 Feminine and modern, this two-piece set is the lucky plaid group including the bandeau top with the smocked design and the decorative buttons design on the front and the high-waisted pants cut in the wide-legged profile.